Mixed-income housing is the foundation of a thriving neighborhood. FCS creates home buying and rental opportunities for all residents across the income spectrum. 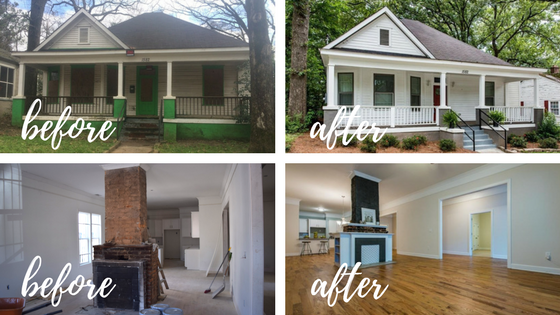 We renovate abandoned properties, tear down dilapidated properties for new construction, and own rental home in the community to create a balanced housing inventory. Since 2000, home ownership in our target neighborhood has increased from 10% to over 50%. Almost a quarter of homes owned in the community are owned by low income families. INTERESTED IN BECOMING A SOUTH ATLANTA NEIGHBOR? We work with local partnerships for rental accommodations, and we are currently at capacity. To join the wait list, please call our office at 404-627-4304 to add your name. To learn about our homes for sale, please follow us on Facebook, where we post all our available homes.